KRABI: Investigators are following the money trail in the belief a business conflict was behind the massacre of a village headman and his family in Krabi province. Crime Suppression Division commander Maj Gen Suthin Supphuang said yesterday (July 13) that the Bank for Agriculture and Agricultural Cooperatives will be asked in writing for the details of the contracts and financial transactions of two businessmen. They are Chetdanai Thinphangnga and Narin Kengthanasup, who run Krabi Phusup Anant, a rock crushing company with an office in Muang district of Krabi. A conflict between the firm and village chief Worrayut Sanglang is a possible motive for the murder of Mr Worrayut and seven members of his family by gunmen at their home in the province on Monday night (July 10). The victims include three girls – aged 4, 11 and 13 years. The village chief of Moo 1 in tambon Baan Klang, Ao Luek district, had been paid by the firm to lobby local residents to support a plan to build a rock milling plant in the locality, but he could not get the job done, according to investigators. 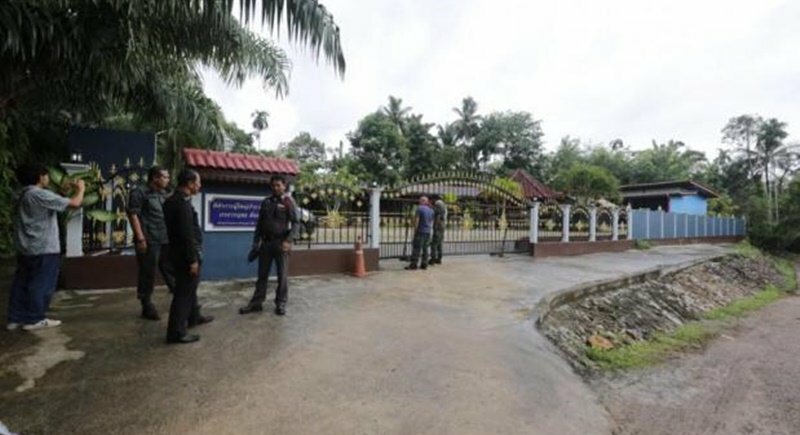 At a meeting at the Krabi provincial police office on Wednesday (July 12), Mr Chetdanai proclaimed his innocence and rejected a police theory the rock mill could be the issue at the root of the crime. The project in Baan Klang was still in an early stage and did not involve the village chief, according to Mr Chetdanai, who claimed to be a friend of Mr Worrayut. Police should drop this line of investigation, he said. Police are still digging for evidence to unravel the murder and trackdown the murderers, who left them few clues. Investigators have still not even found Mr Worrayut's white Toyota Yaris, which was stolen by the gunmen as they fled.